It’s here! It’s here! 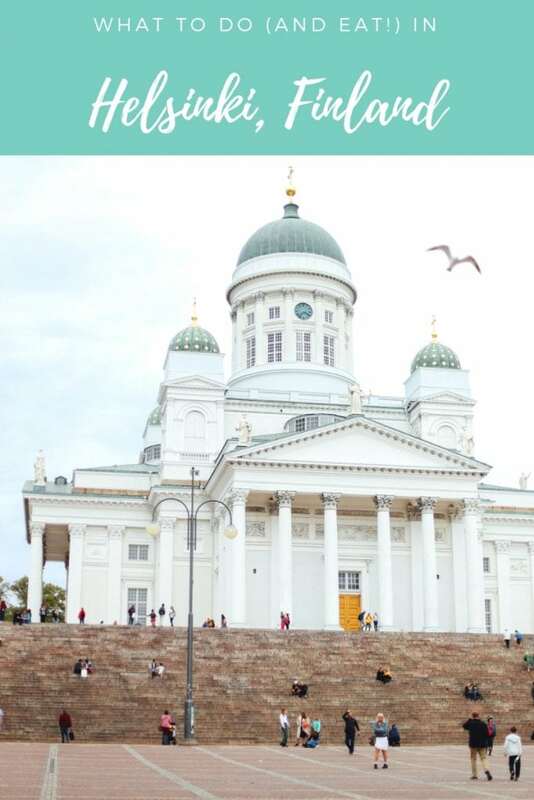 My Finland Travel Guide is finally here! I had every intention of getting this up right after our trip, but I also vastly underestimated the amount of photos I took ? 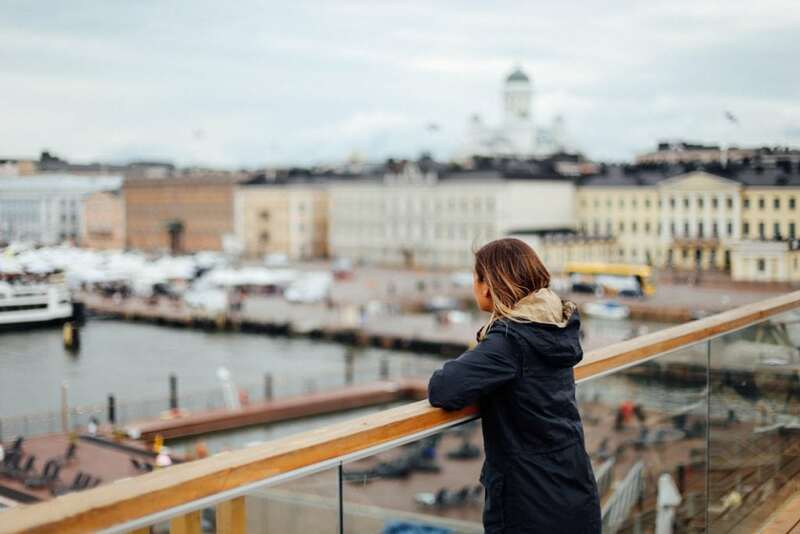 Now that I’ve been through them all, I’m ready to break down what to do in Helsinki if you go (which you should!). First, a little backstory. Usually trips like this are with other bloggers/press and there is a very set schedule. Don’t get me wrong, those trips are usually amazing – but this was a little more special. Adam and I were asked to go and stay at #MyHelsinki Residence, a beautiful Marimekko designed apartment in the heart of the city. They provided us with a “Survival Kit” full of restaurant suggestions, museum passes, public transport tickets, etc – otherwise our itinerary was entirely up to us. This flexibility allowed us to really personalize our experience – whether we were in the mood to quickly see as much as we could, or slow down and enjoy what really blew us away. And because of that (and the LOCATION ? ), I don’t think I’ve ever been so excited to write a travel guide! I’ll admit that I’m not a seasoned International traveler, so I can’t really compare it to anywhere else I’ve been. That being said, it’s super charming, very clean, and rich in history. It’s also a lot smaller than we expected, which made it incredibly easy to navigate – we could walk or take public transit everywhere (we only took 1 cab the entire time we were there). Helsinki also has AMAZING food and the people are absolutely lovely. Pretty much everyone we met was well educated, spoke multiple languages (including english), and couldn’t have been nicer to us. Because of this, I’d really push Helsinki to two types of travelers. 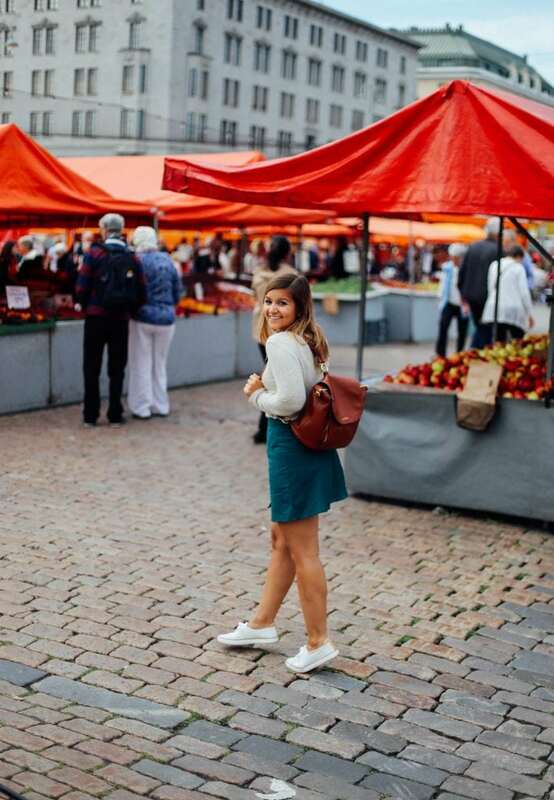 1) Anyone who is intimidated or overwhelmed by a trip abroad. 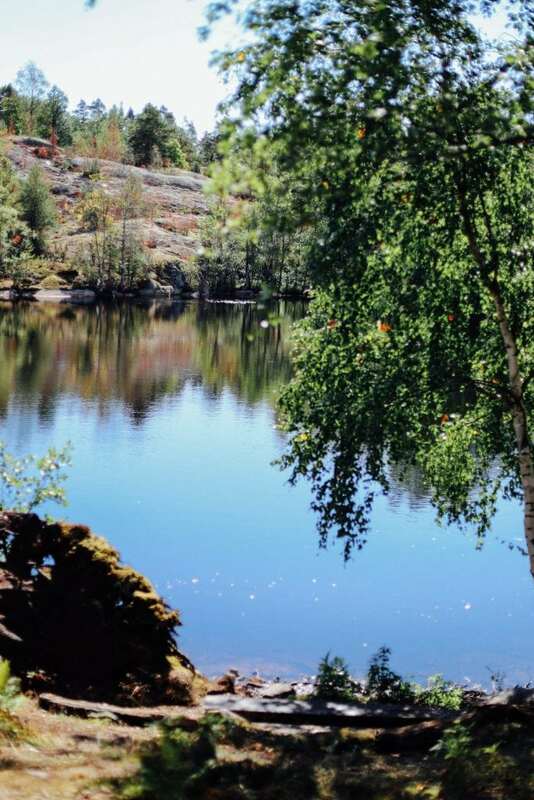 2) Anyone who is planning a Scandinavian adventure. 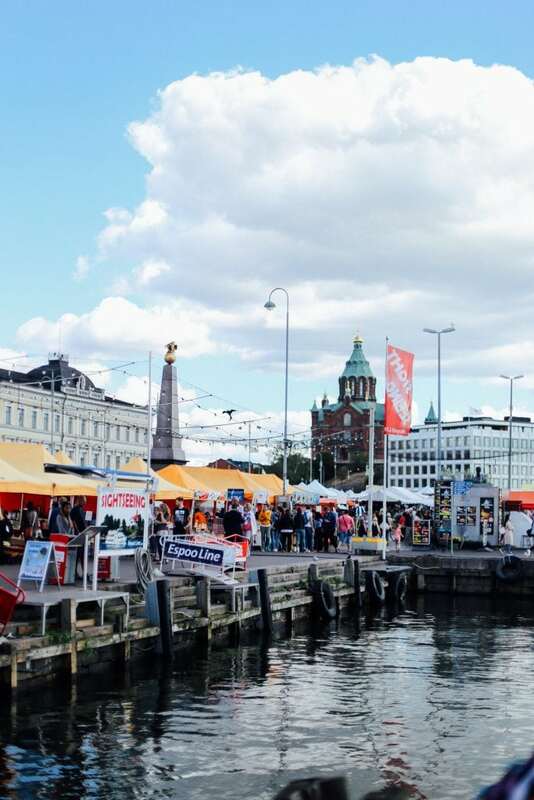 You can definitely do Helsinki in a few days before or after bopping around Sweden and/or Norway. But really, everyone should go ? 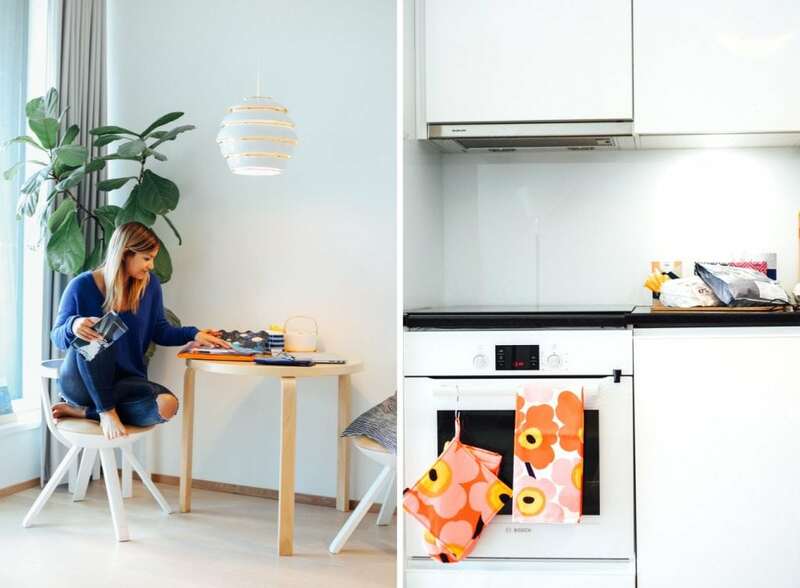 As I mentioned above, we stayed at #MyHelsinki Residence – and even though that isn’t available for everyone, I would still recommend staying in an apartment! It was a great balance between a cheap hostel and an expensive hotel. Plus, then you get to feel like a local a little bit! 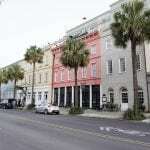 There are a ton of great affordable options on AirBNB. We went mid-August and the weather was definitely more Fall than Summer. During the day, it was typically between 65-75 degrees, but it definitely got colder in the morning and at night. My best recommendation is to pack layers, and bring them with you when you’re out exploring in case there are temperature shifts. 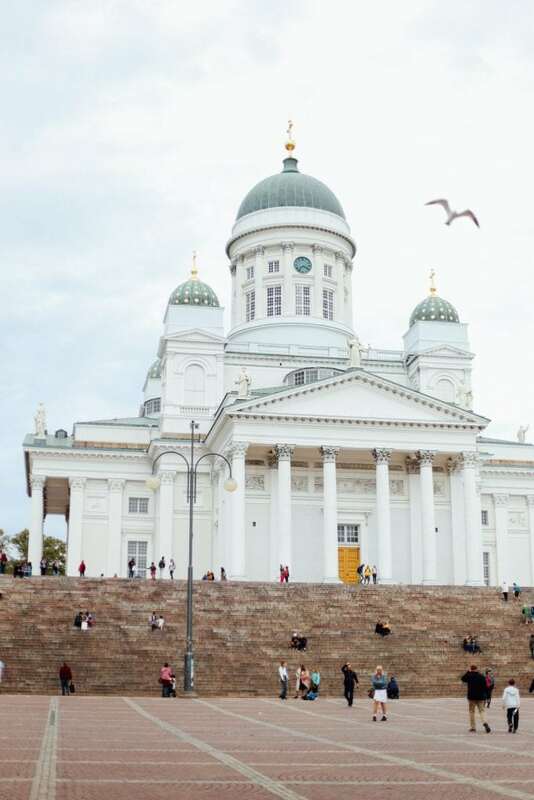 The Helsinki Cathedral is the most distinctive landmark in the whole city. Built from 1830-1852, it was originally meant to be a tribute to the Grand Duke of Finland, Tsar Nicholas I of Russia. Whether you are looking at it from the expansive town square or you’re climbing the steps to see it up close, this church is breathtaking. It’s also HUGE, so you can see the green domes peek out over the buildings from nearly any rooftop in the city. Also, because it’s so central, we used this as our home base on most of our exploring days. 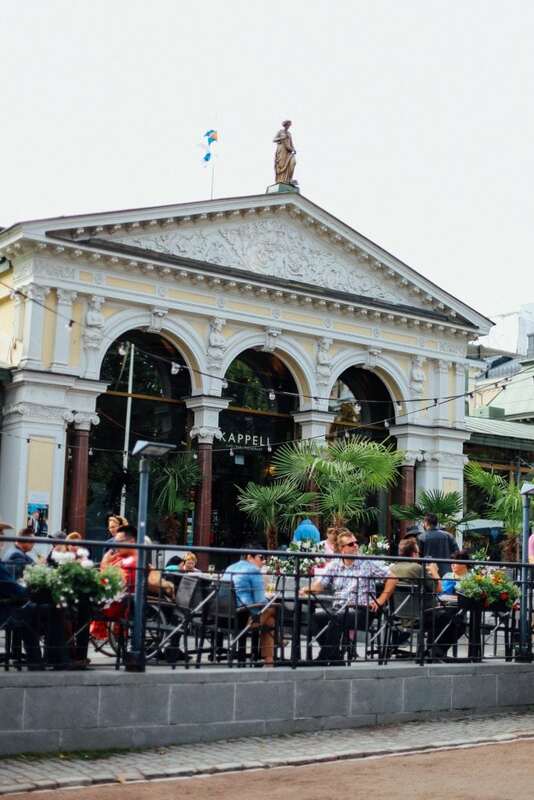 Market Square is another must see spot in Helsinki. We were warned that it’s a little touristy, but I actually didn’t really think it was! (Maybe it’s because I used to live in New York ?) Instead, I found it to be a charming outdoor market with tons of pastries, coffee, seafood, and locally made souvenirs. 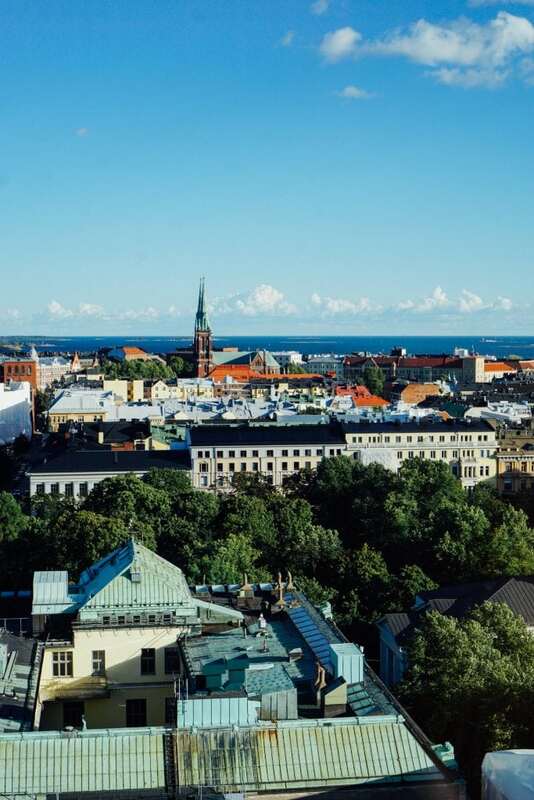 Plus, it’s right on the Baltic Sea with a gorgeous view of the Uspenski Cathedral. SO PRETTY. I think the key here is to go during the week so it isn’t too crowded. That way you can take your time and wander through each of the vendors. My favorite one was a sweet man who makes handmade puzzles for children with natural dyes. He couldn’t have been nicer, and now my nephews have a toy from Finland! So cool! 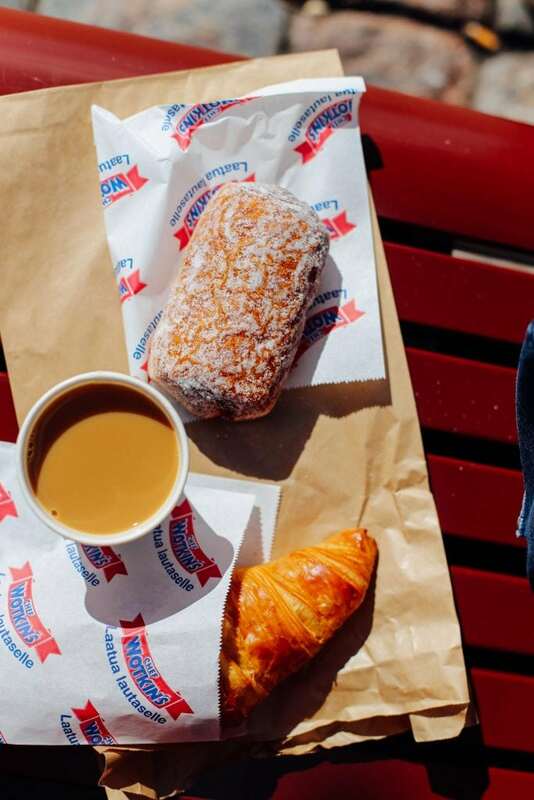 Try all the coffee, pastries, and chocolate. 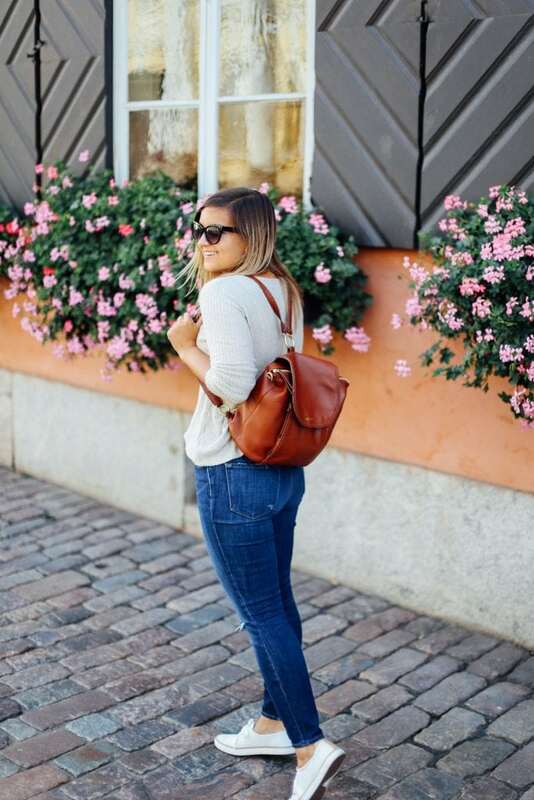 The Finnish make coffee, pastries, and chocolate EXTREMELY well, so please don’t deprive yourself due to a diet. Trust me, it’s worth it to indulge a little bit. My favorite pastry isn’t pictured here, but it was a Finnish cinnamon roll called Korvapuusti. So delicious, especially when dunked in coffee. As for chocolate, Fazer is the way to go! 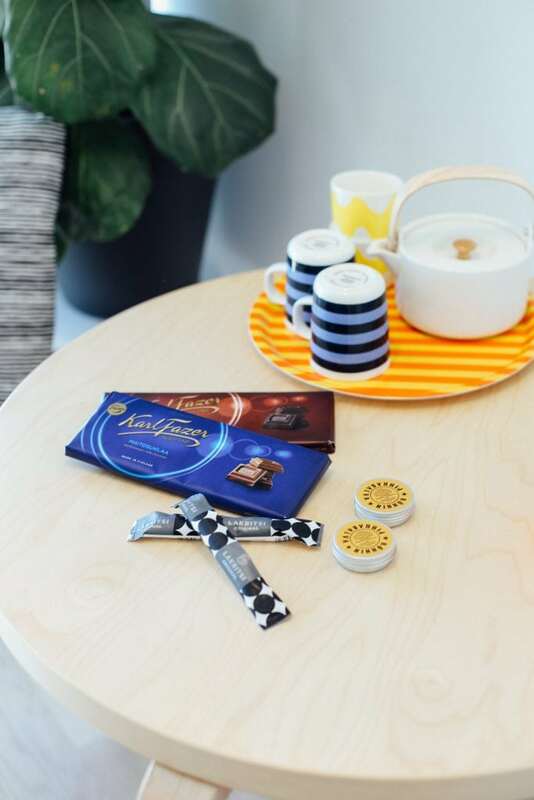 Fazer has been the chocolate company of Finland since 1922 and as soon as you taste it, you KNOW why. We picked up a few bars at one of their cafes (there are multiple in the city) and then a few more at the grocery store… and honestly, we should have stocked up even more ? It would be so easy to stay on the sidewalk alongside the City Park and never really pay attention to it. But every time we decided to stroll through it instead of rush past it, we found something new to enjoy. For example, after a long day of exploring, we noticed a band playing the park. The restaurant right across from the stage, Kappeli, had tons of outdoor seating, so we claimed a table and had a drink while listening to music on a beautiful evening. 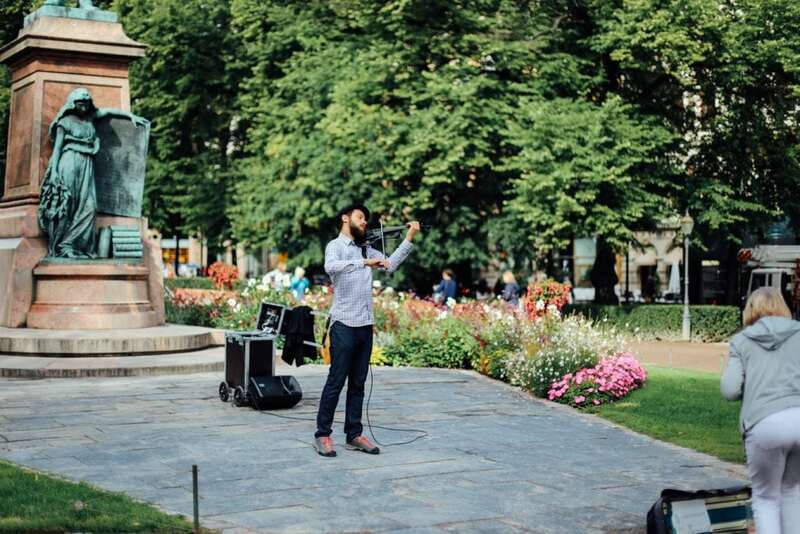 Then a few days later, we were walking through the park and found a violinist playing Beauty & The Beast. He was so good, we stayed for at least 10 minutes listening to him play in this gorgeous setting. The best! 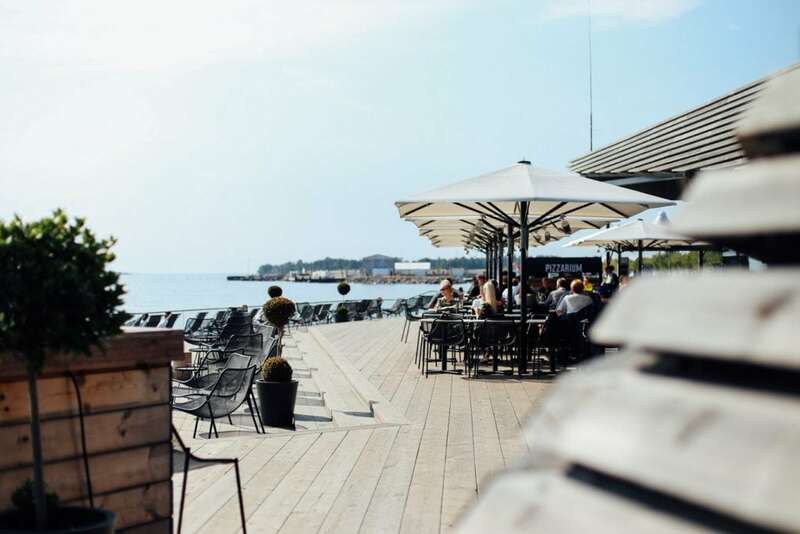 Ateljee Bar may just be a tiny little rooftop… but the view makes it 100% worth the trip. I recommend getting a pre-dinner drink here, before it gets too crowded. 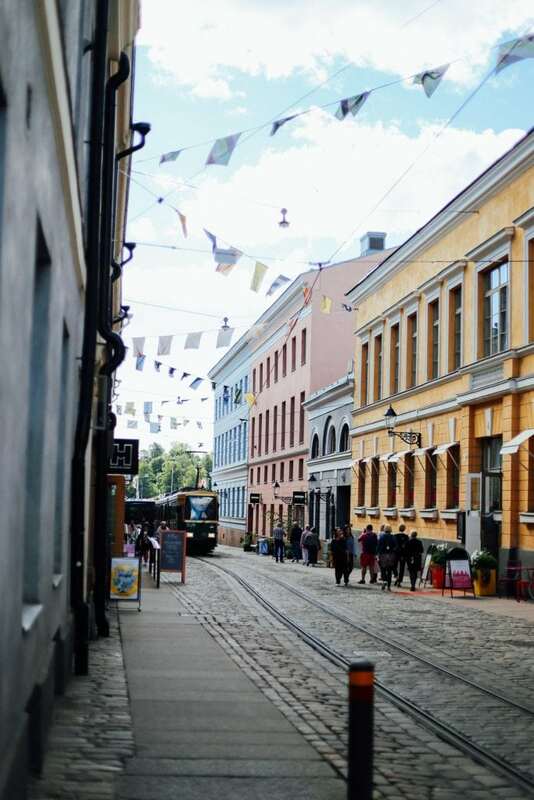 Did you know it only takes 2 hours to get from Helsinki to Tallinn, Estonia? 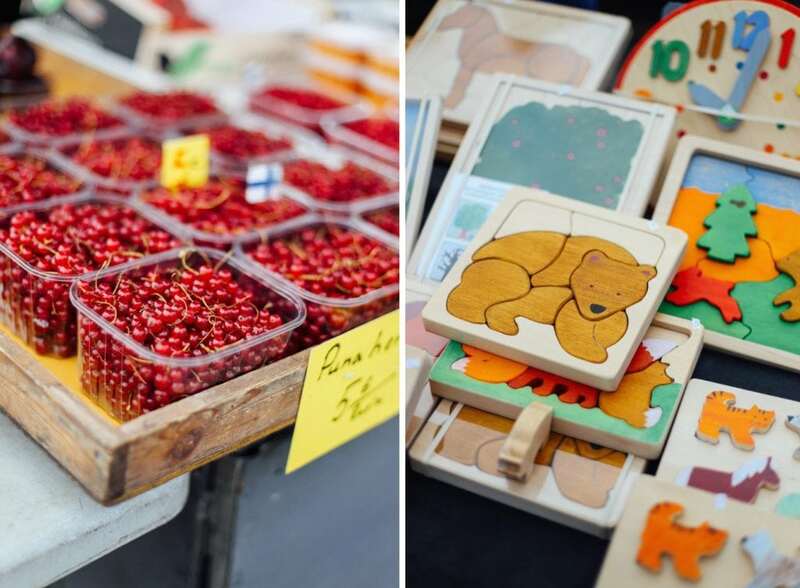 This easy day trip is a no-brainer if you’re already over in Finland. 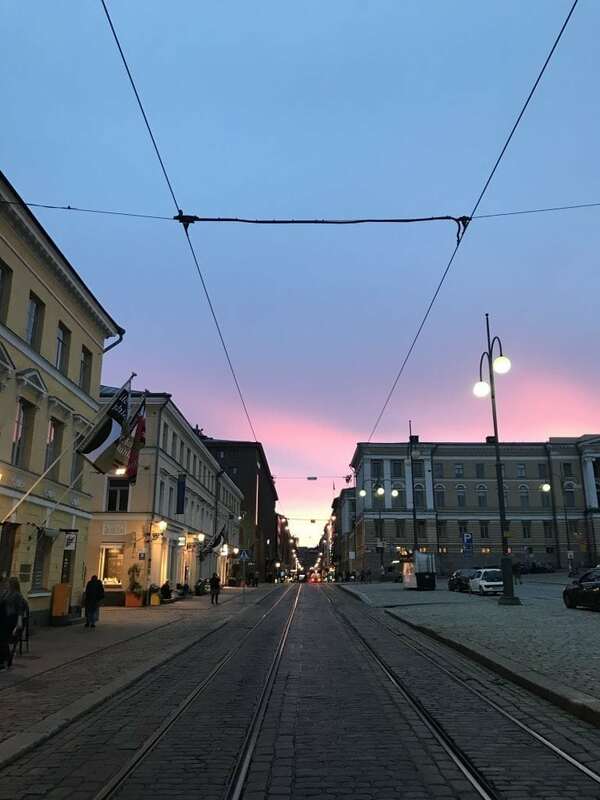 You can read all about our experience in Tallinn here! As soon as you see pictures of Yes Yes Yes, it’s not hard to figure out why I loved it. 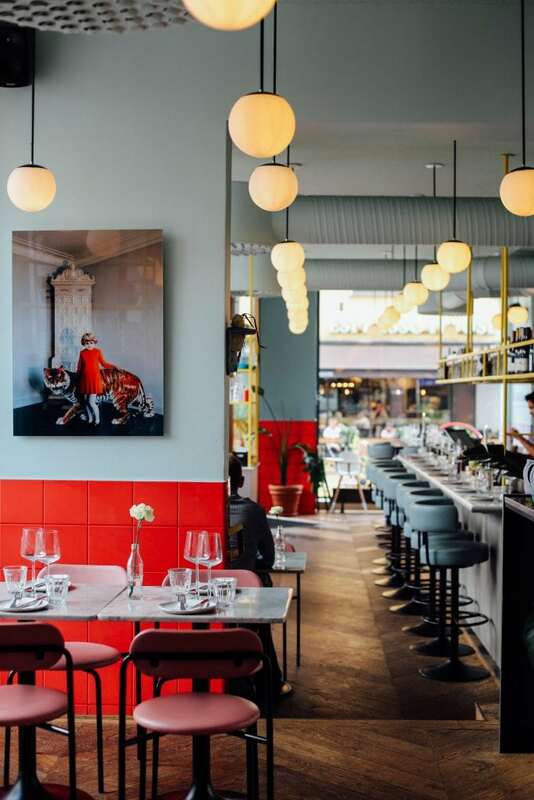 This bright, colorful, and playful restaurant serves up inventive vegetarian food – something you don’t see on a lot of menus in Helsinki. 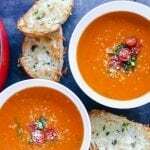 You can read more about the food in this post! Basically, get your camera ready. 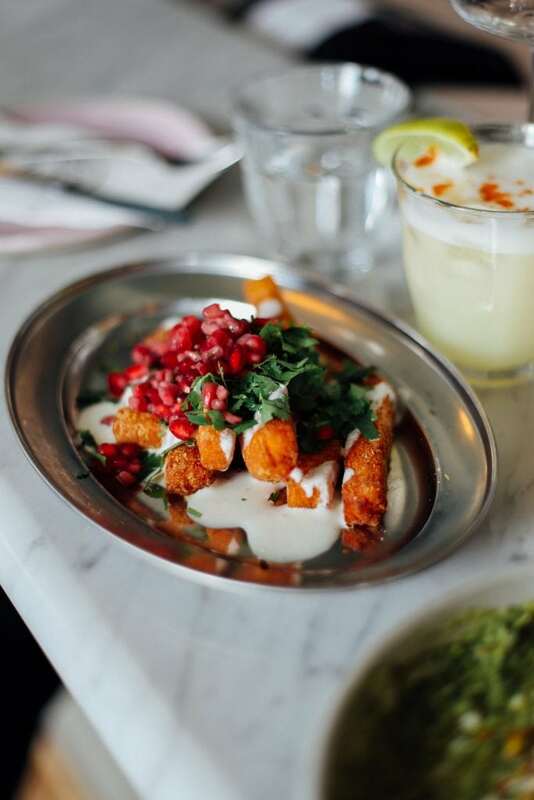 And order the Haloumi Fries (trust me). If you or your travel buddy is a nature lover or history buff, you should definitely go island hopping. 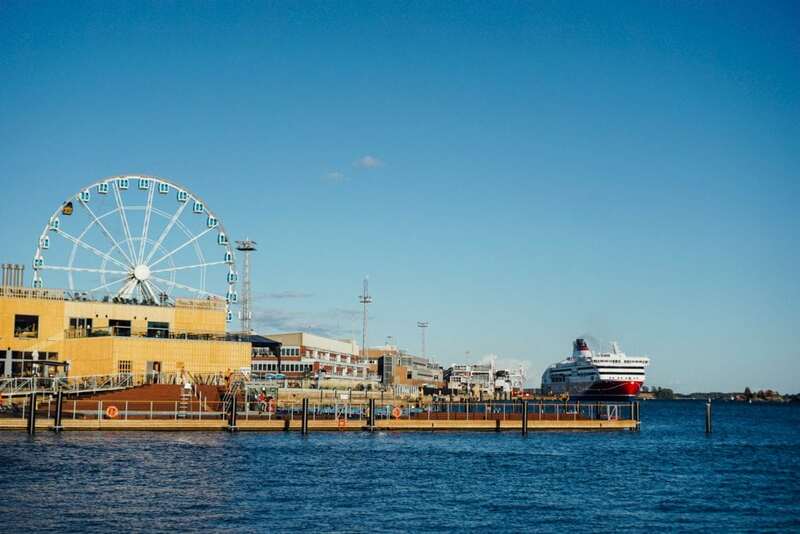 There are actually over 300 Helsinki islands (crazy! ), but we went to 2 of the biggest and most popular ones. 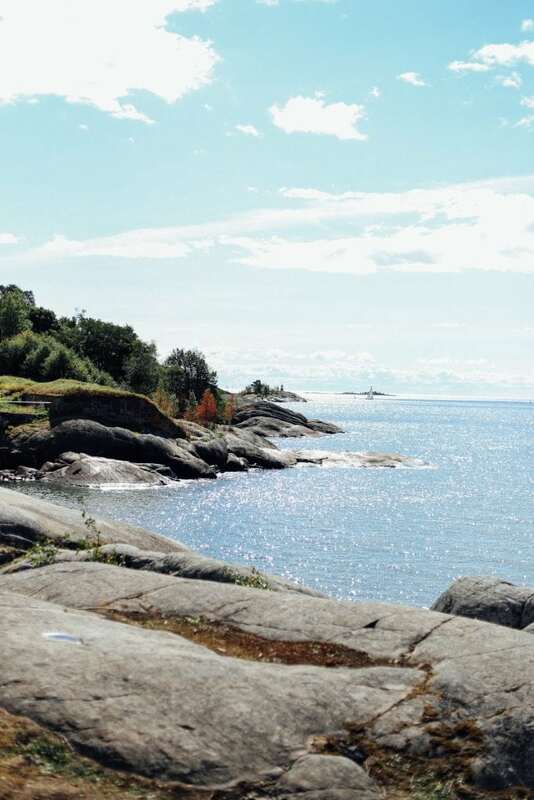 We started at Vallisaari, which is a 15 minute ferry ride away from Market Square. This island is definitely for the nature lover. For many years it was owned by the military and closed to the public, which allowed the landscape and wildlife to thrive. It feels like such an escape, it’s hard to believe you’re still so close to the heart of the city. Our next stop was Suomenlinna, which used to be an actual sea fortress! Obviously, this island is for the history buffs. 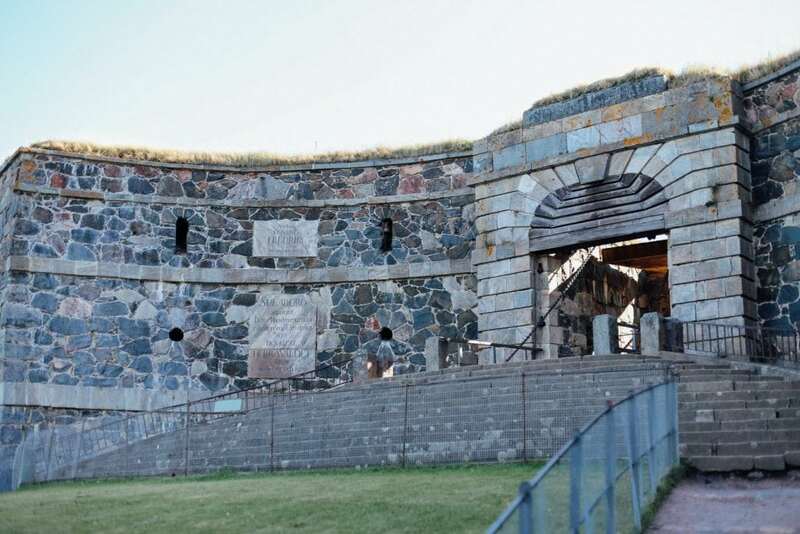 Suomenlinna has artillery and defensive walls that are centuries old. We particularly liked the King’s Gate drawbridge, pictured below. Doesn’t it remind you of Game of Thrones?! Art is so subjective, but this was my favorite museum in Helsinki. We went to HAM (the Helsinki Art Museum) right before this one, and even though we got to do a very cool virtual reality with the London Philharmonic, the modern art there just wasn’t our thing. But the Ateneum was a different story! 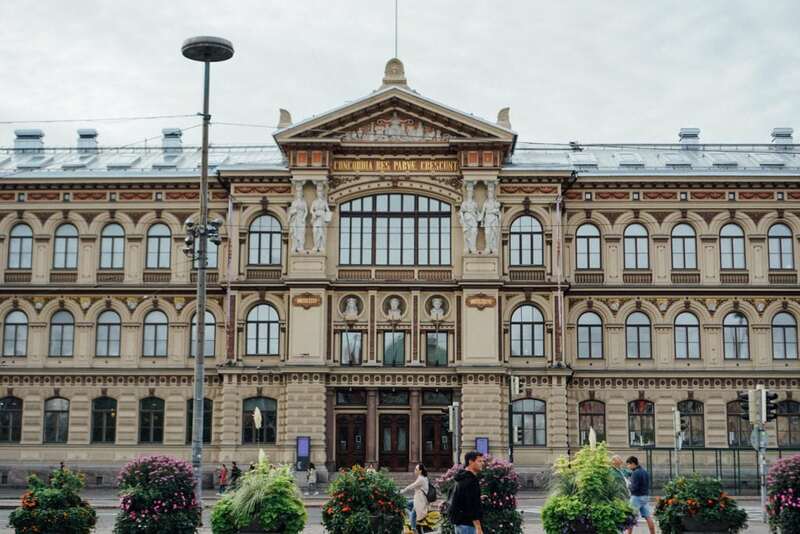 This museum has the biggest collection of classical art in all of Finland, some pieces dating all the way back to the 18th century. 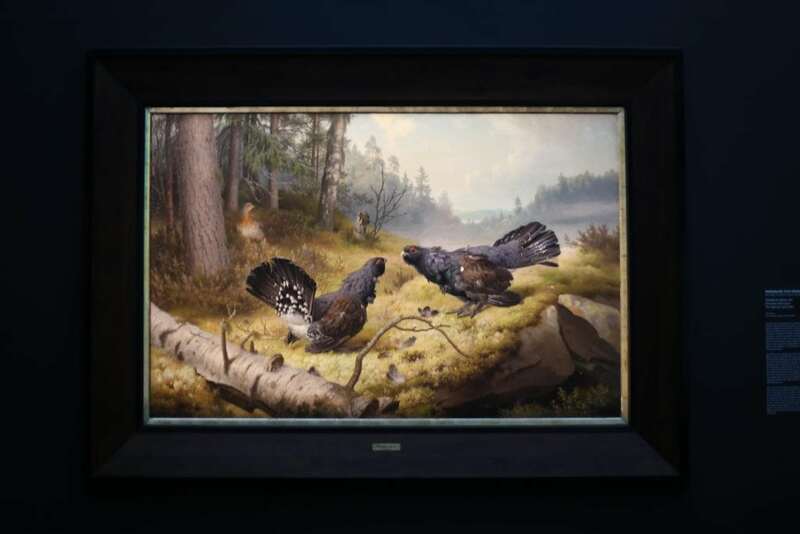 They even have one of Finland’s most famous paintings called The Fighting Capercaillies by Ferdinand von Wright (1886). Beautiful! Even though it was too chilly to swim the day we went to check out the Allas Sea Pool, I’d still recommend it to anyone who visits. 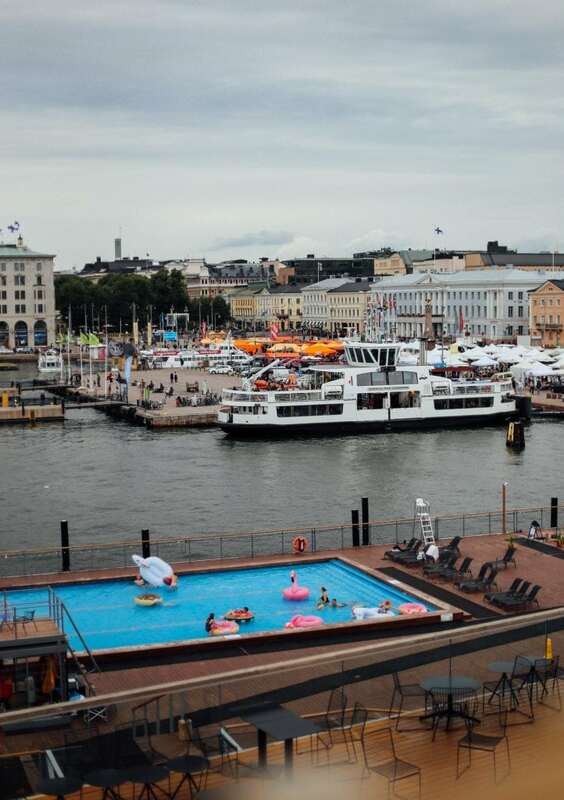 They have saunas like most spas in Helsinki, but the 3 pools are their main attractions. They have one warm water pool, one children’s pool, and one sea water pool. That’s right, you can be in a pool of water from the Baltic Sea! 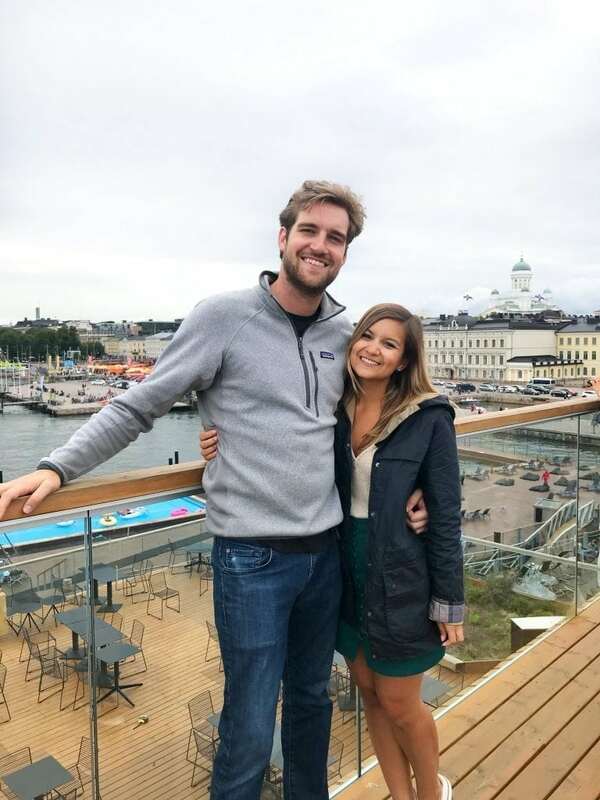 Except this water is pumped from cleaner currents farther away, and it’s filtered – so, just a little different than if you jumped into the harbor ? If you go on a chilly day too, I recommend going up to the top patio! That’s what we did, and the views are awesome. 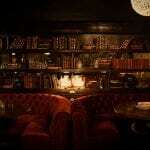 They have a bar and comfy chairs up there too, so it’s a great place to hang out and unwind. Whether you are religious or not, this church is a sight to be seen. It looks like a rock formation/hill from the street, but it’s remarkable as soon as you step inside. 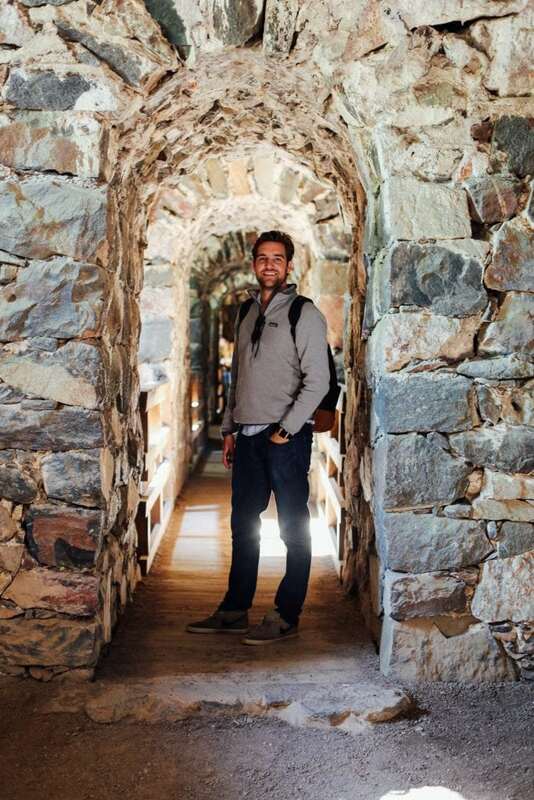 The interior was excavated and built directly out of solid ROCK. The architects then put a copper dome and huge skylight on top so it would be flooded with natural light. It is unlike anything I’ve ever seen before. 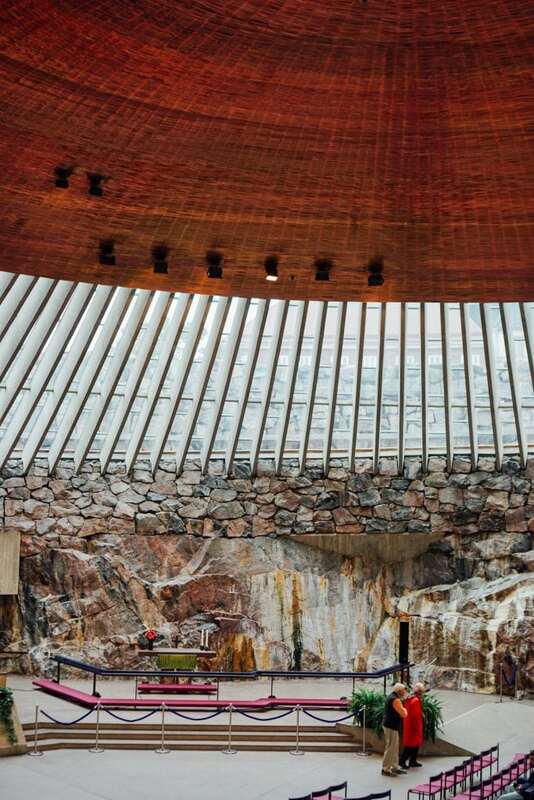 And if the fact that the walls are made of rock isn’t cool enough for you, their textured surfaces help create amazing acoustics as well. I was most excited about going to the Loyly Sauna, and it did NOT disappoint! To give you a little backstory, everyone in Finland loves saunas. We might have them in gyms and spas, but they also have them in apartment buildings and office buildings! It’s a huge part of their lives – and they’re very proud of the fact that sauna is the is only Finnish word to make it into the everyday English language. I usually think of saunas as dark and a little claustrophobic, but this one is the opposite. It’s located right on the water with beautiful wood panelling and huge floor to ceiling windows. 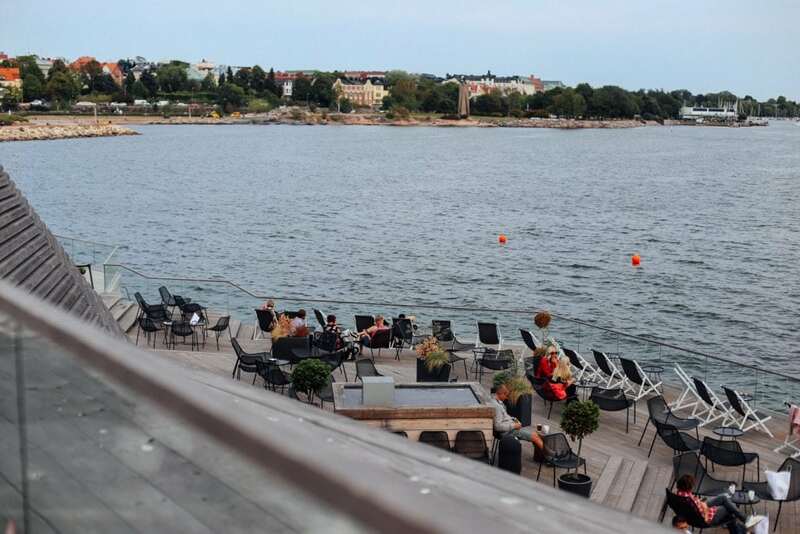 You can literally be sitting in one of their saunas while looking at the Gulf of Finland at the same time. Then, when you get too hot, you walk right out onto the patio and dip yourself into the water to cool off. Then, do it all over again! 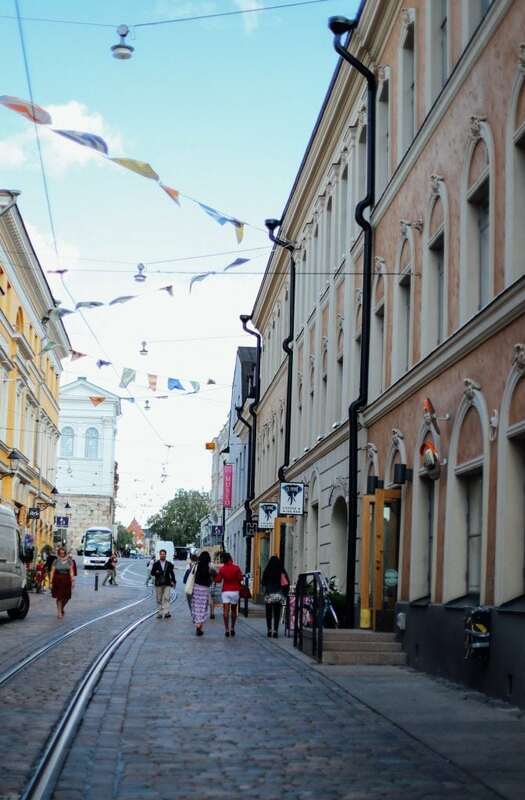 It’s such a unique experience – one that you hands down can NOT miss if you’re visiting Helsinki! 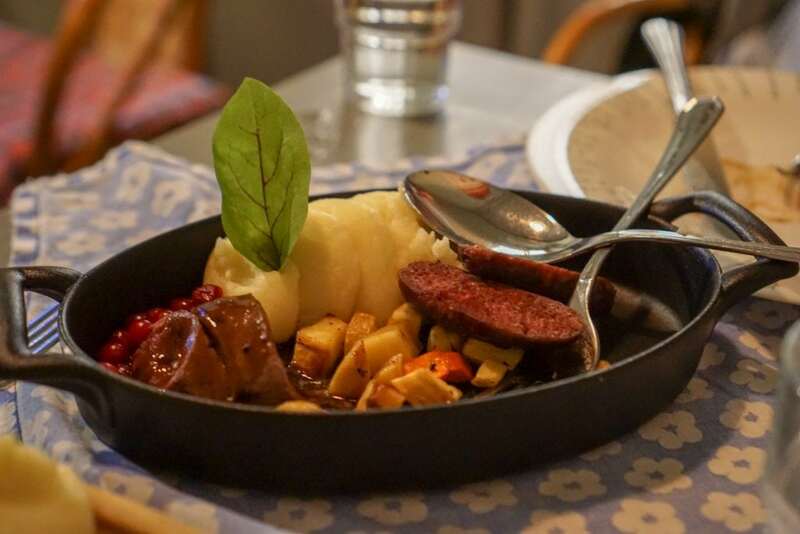 One of the things we really wanted to do was have a traditional Finnish dinner. 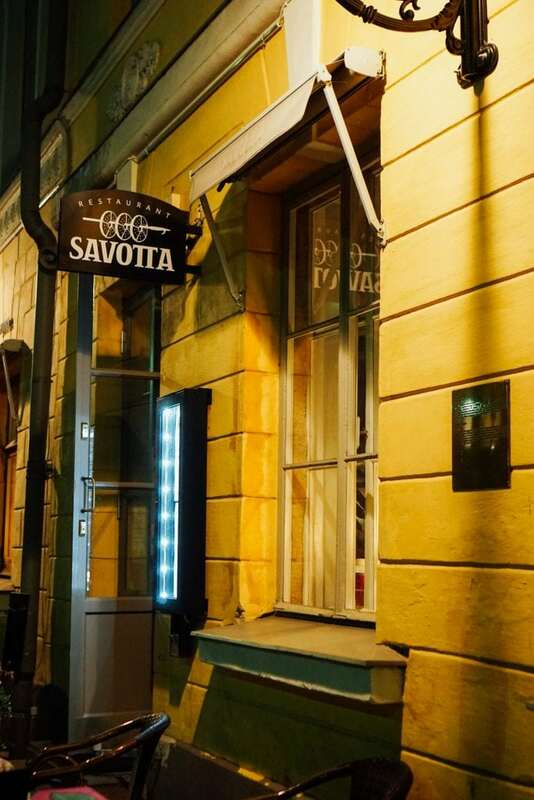 Luckily, we discovered Savotta, right across from the Helsinki Cathedral. 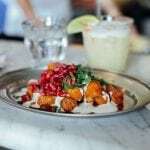 This restaurant feels like a cozy home right when you walk in – old wood floors, mismatched plates, hand woven napkins. 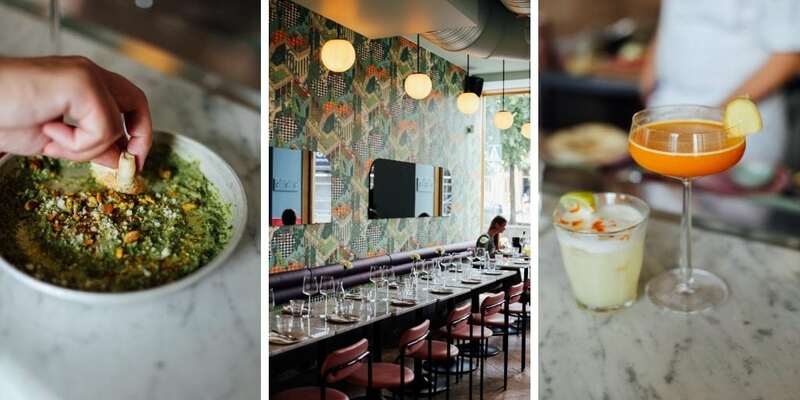 And the food is just as comforting as the atmosphere. 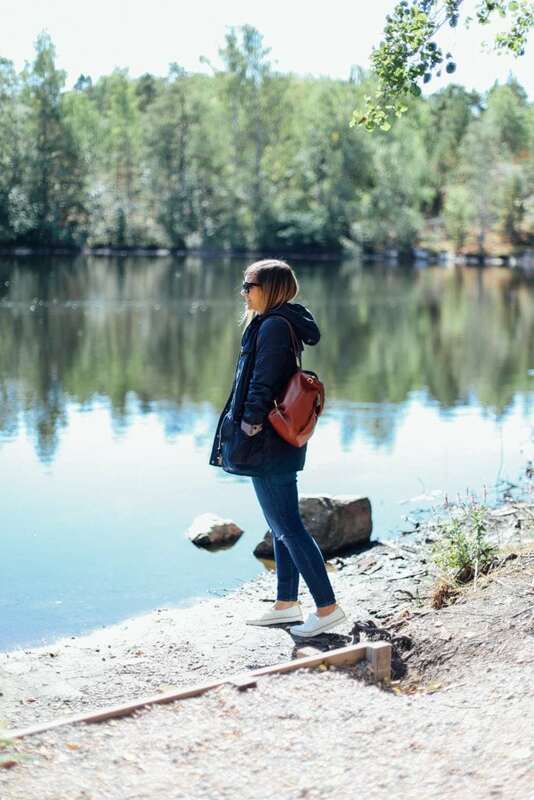 Savotta only uses Finnish ingredients found in the forests and lakes, from carefully selected suppliers. 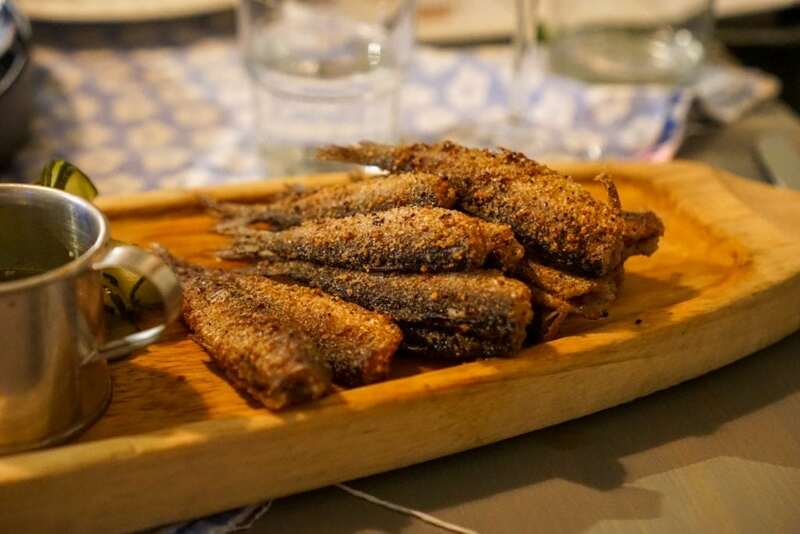 Check out this post to read about what Adam ate, too! One of the benefits of having dinner at Savotta meant that we got to witness the most beautiful sunset through the windows as we ate. And as soon as I saw the pink and purple hues start to develop, I obviously needed to take my camera outside for a minute, right?! If you can plan to be in the area, whether at dinner or just an evening stroll, try not to miss one of these sunsets over the cathedral. It really is magical. 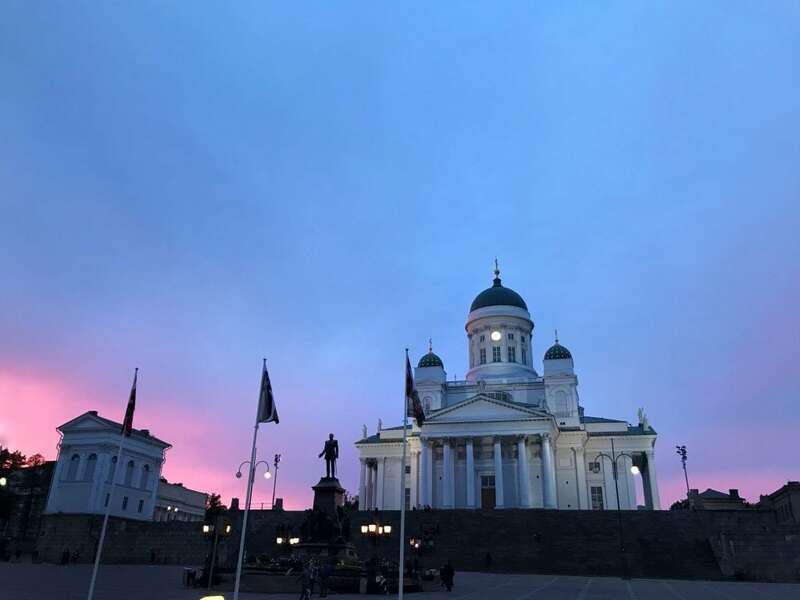 Have you ever been to Helsinki? Did I hit all your favorite spots? If not, let me know what I missed! Hopefully, I’ll be back again someday! 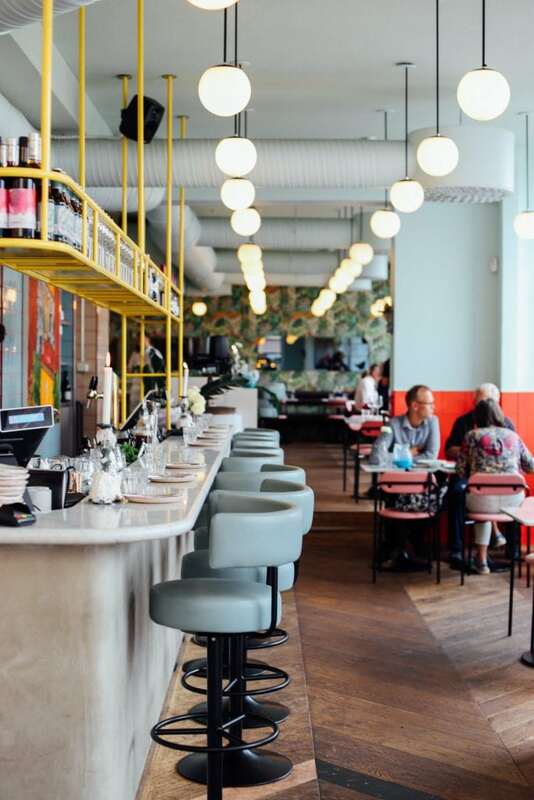 And don’t forget to read Where to Eat in Helsinki, too! PS. 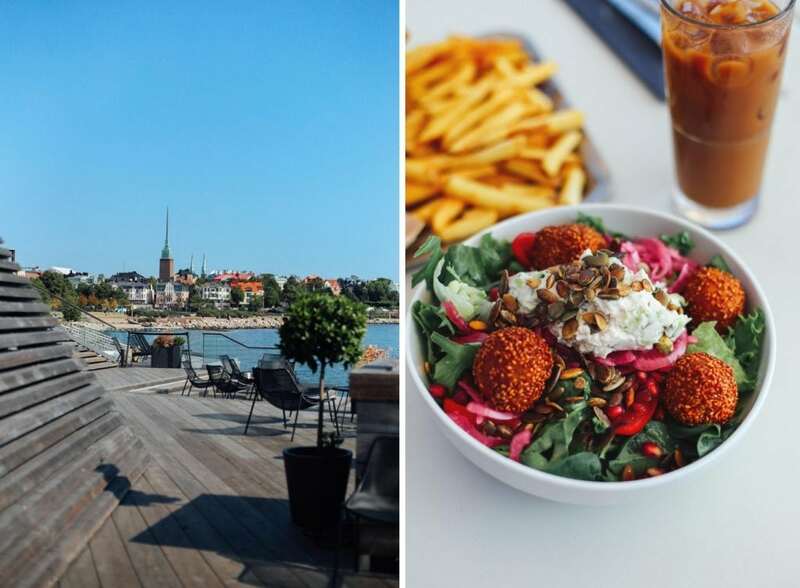 You might also like Where to Eat in Helsinki, What I Packed for Helsinki, A Day Trip to Tallinn Estonia, and Exploring Tallinn in a Reformation Dress. 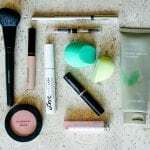 Want to remember this post when you’re traveling? Pin the image below!